So, May and June then. Quiet on this blog - undoubtedly. Nothing much worth writing about - quite the contrary. In fact I've been out and about as much as ever but simply haven't been able to find the time to sit down, sort through my huge backlog of images and commit pen to paper (metaphorically speaking of course). 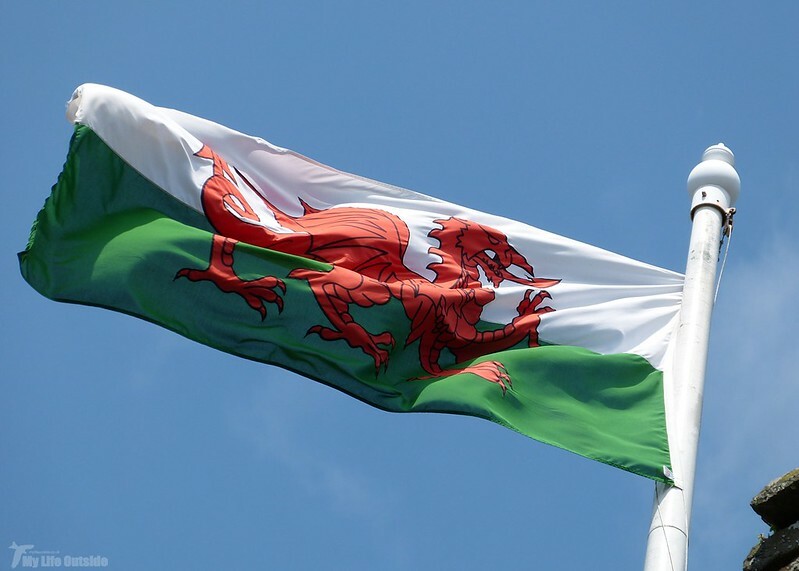 I wont bore you with the details (work) suffice to say that this last week has seen us ensconced amongst nature in the Conwy valley for a well earned break. Being literally on Snowdonia's doorstep meant walking was top priority despite Emma's attempts to divert us into every local ice-cream selling establishment, and in truth I'd even considered leaving the camera at home. 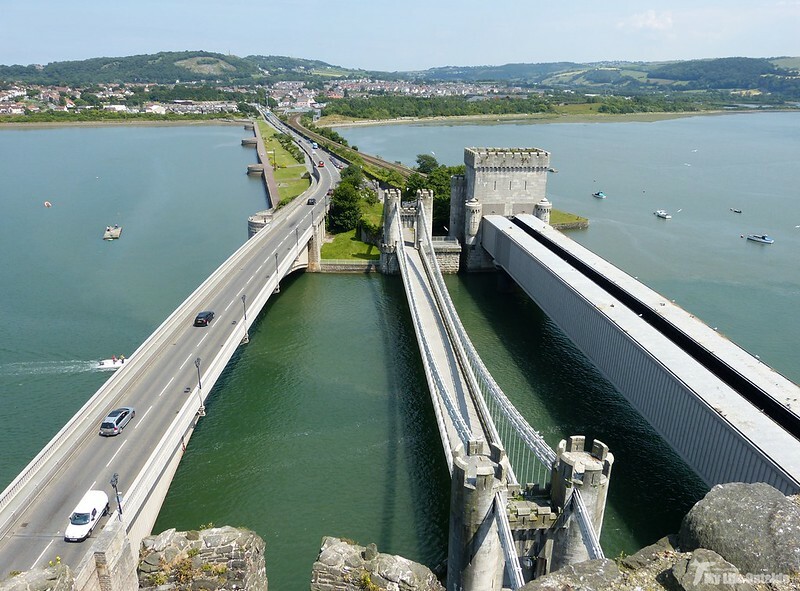 Experience advised otherwise however, even if it was just to take the 'touristy' shots, so let's cue those castles, flags and, as this entry is focused on Conwy, the impressive trio of bridges across which many make their approach to this walled town. All very nice I hear you say but hardly what we've been waiting the last two months for. 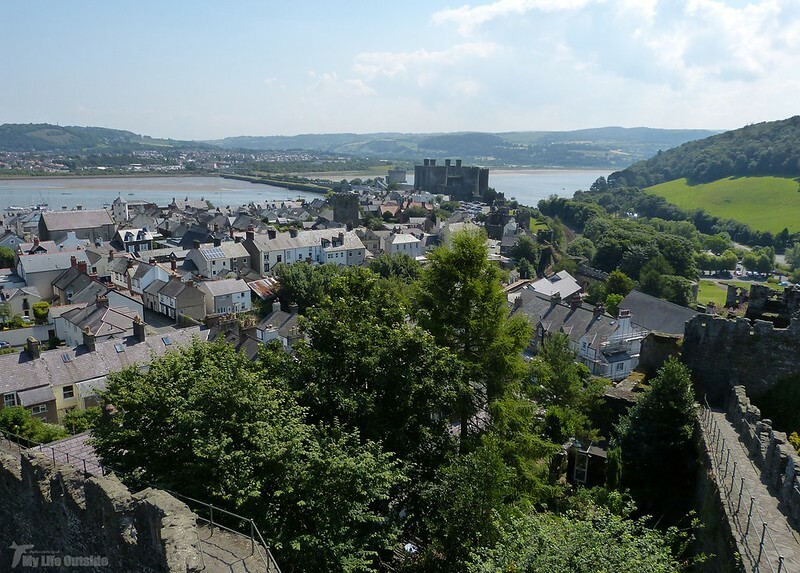 Indeed I'd be tempted to agree and these never would have made the blog had it not been for a visit to Conwy castle where two feathery dinosaurs (Emma insists they're juvenile Herring Gulls) simply stole the show. I knew straight away that this was my return to writing and photography, all courtesy of one of our most ubiquitous birds and a discarded KFC chicken wing. 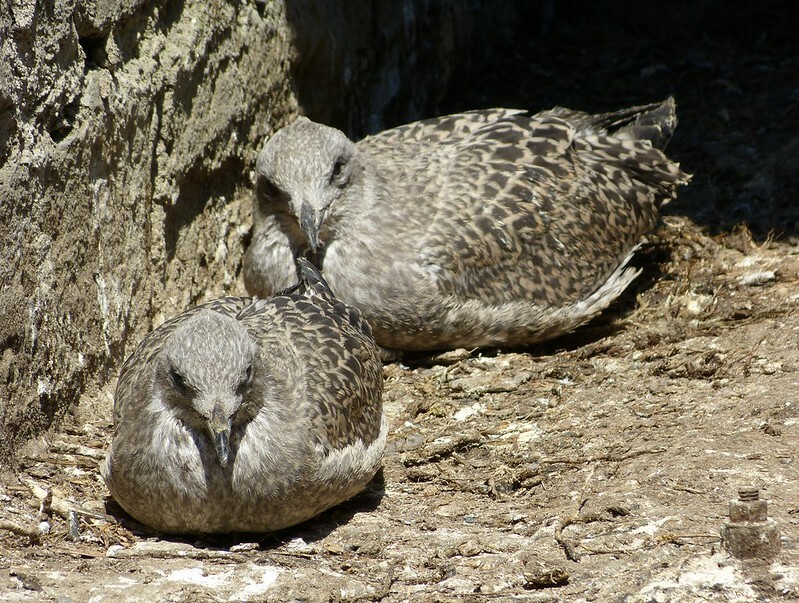 This pair kept me enthralled but sadly another nest nearby was not proving quite so successful. 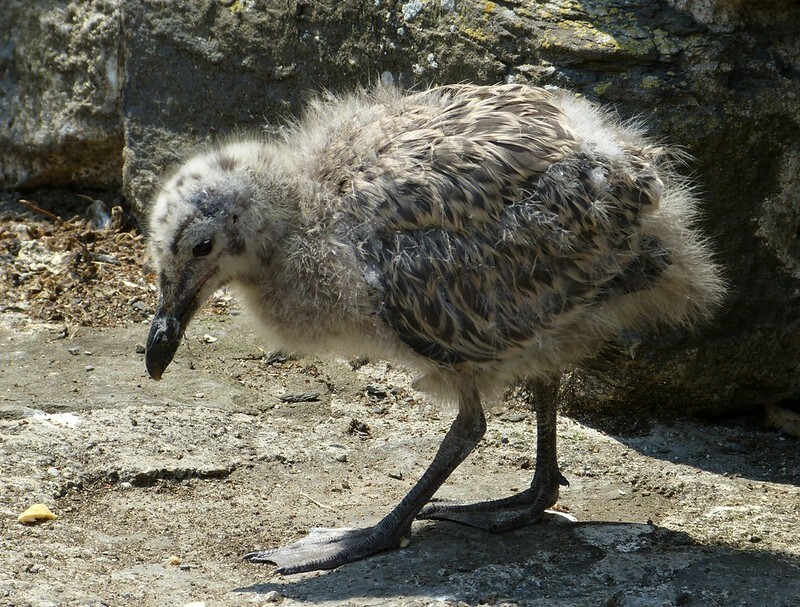 While one of the chicks was ruling the roost another had somehow dropped down from the parapets and was now scurrying between visitors feet. This seemed to be of little concern until the adult bird seen above set about the sorry individual, forcing it ever closer to a sickening drop. 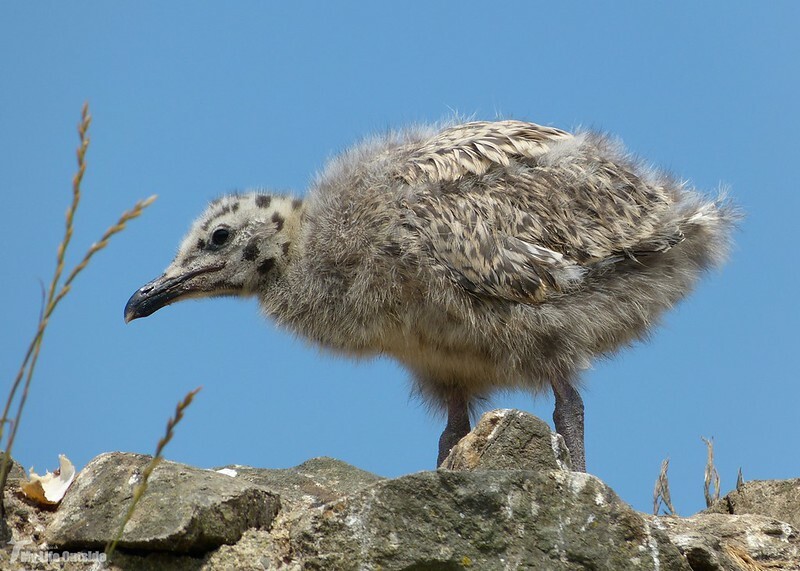 While we awaited the inevitable all its parents could muster were loud calls and wing flapping, not exactly helping my impression of the Herring Gull as being all mouth and no trousers. In the end it was down to the juveniles strength and not an insignificant amount of luck that found it shelter in a drain as the attacker lost interest in both it and that chicken bone. Peering into the shadows we were concerned that some degree of injury had been inflicted but a few morsels of biscuit soon has the chap back on its feet, if looking slightly downbeat. Let's hope he makes it through. 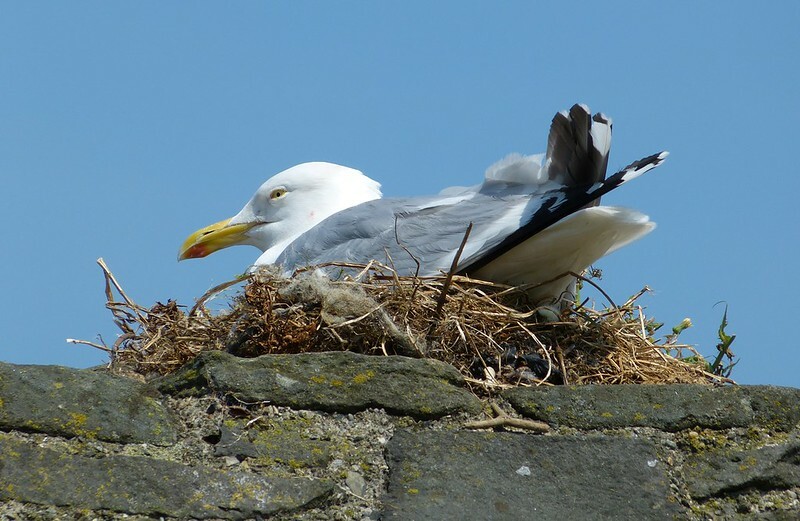 As we continued our tour of the castle it soon became clear that this was prime real estate for Herring Gulls as every corner delivered a new nest. 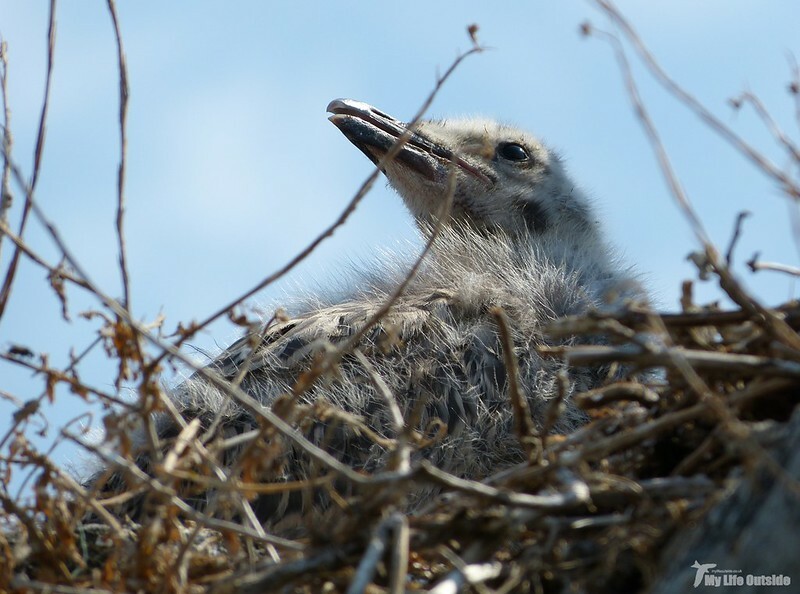 Many had young almost ready to fledge while some still had adults sitting on eggs. I'm sorry to say that the finest stone masonry of Medieval times was rather lost on me after that. 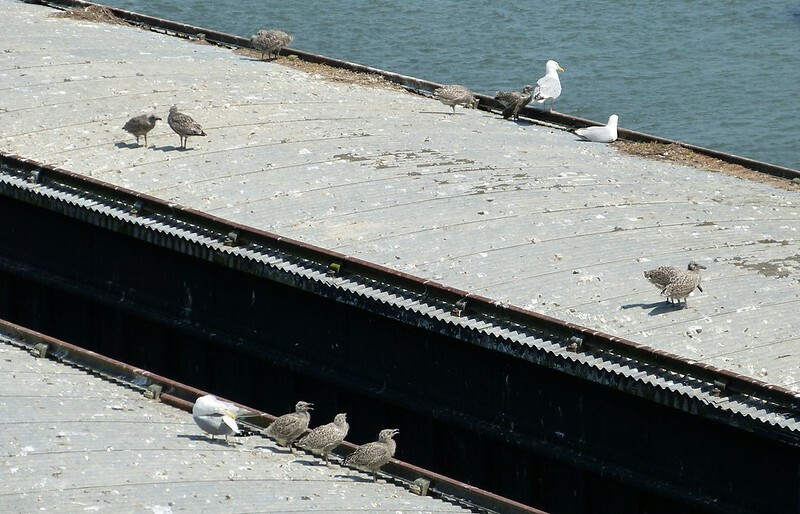 Even Robert Stephenson's famous tubular bridge had been taken over with nests and young birds littering its upper surfaces. 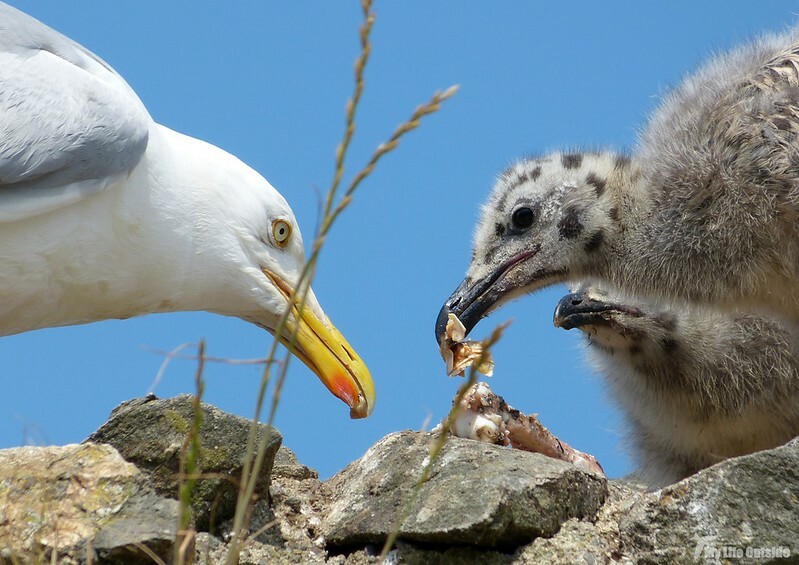 Remarkably these encounters are the first time I can remember seeing young Herring Gulls at such close quarters and it really was a pleasure. 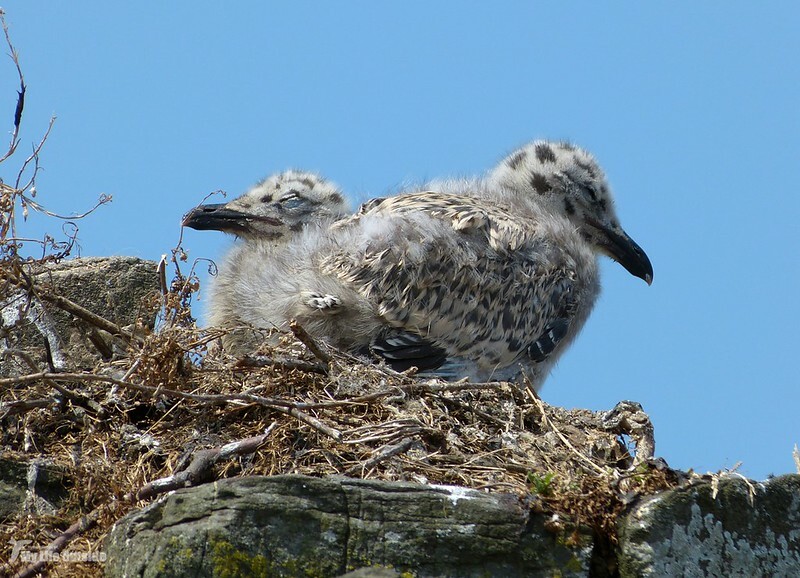 I bet those residents of Conwy who have the (mis)pleasure of these brutes nesting in their chimneys however may beg to differ. 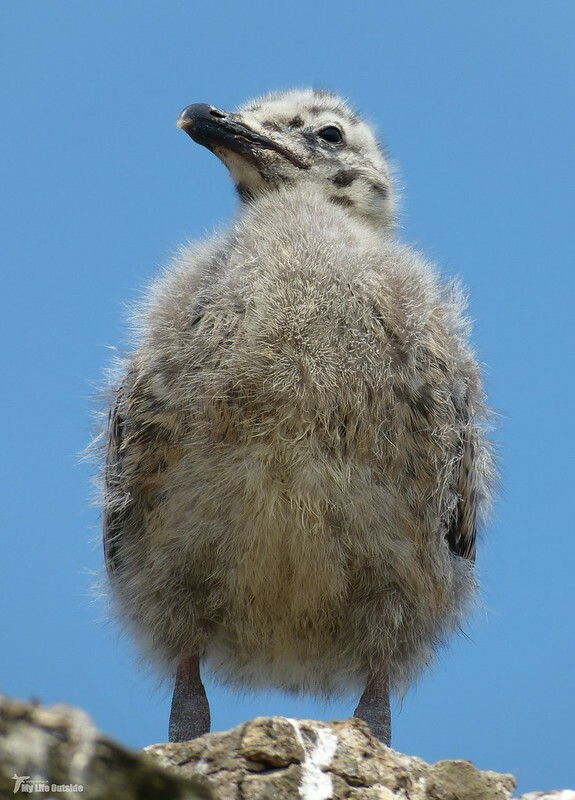 Fabulous photos of the chicks! So glad you took the camera with you. Superior shots!!! Enjoyed your recount of the castle visit. Great shots of the birds! Perhaps, next time you can concentrate on the castle! Awesome post and photos. 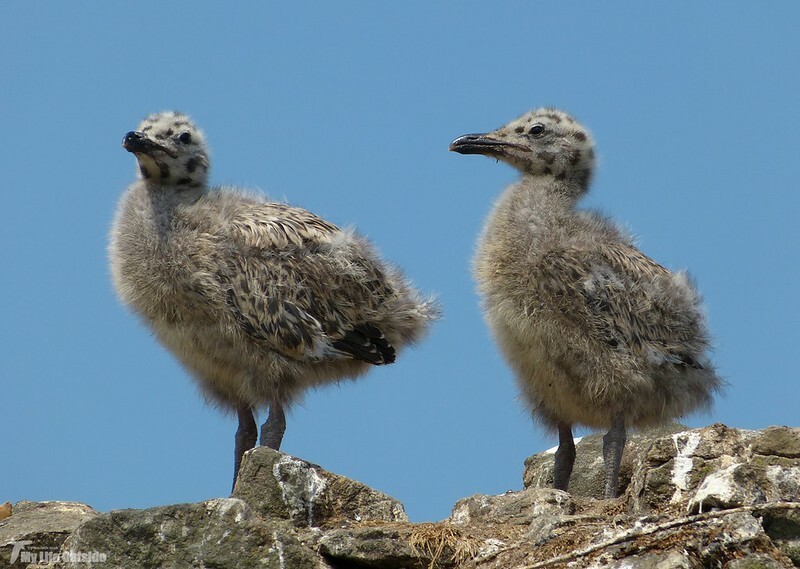 I love the cute baby gulls..